Born in Ottawa, Illinois, Walt Willey attended Southern Illinois University, where he majored in Fine Arts. In 1981 he left Illinois for New York to break into acting professionally, and was involved in numerous Off-Broadway productions, including "Dust Off" with Dan Lauria, and stints on "Another World" as James LaRusso and as Joe Novack on "Ryan Hope." He joined the cast of ABC's "All My Children" in 1987, originating the role of lawyer Jackson Montgomery, whose devotion to his wife Erica Kane (Susan Lucci) and their extended family has proven to be a source of strength and unconditional support time and again. Mr. Wiley is celebrating his eighteenth year on "All My Children." He was a "People's Choice" nominee in 1992, and was named "All My Children's" Most Valuable Player by Soap Opera Update's Readers' Poll. He was again awarded this honor in 1993. Mr. Willey branched out into stand-up comedy in 1989, entertaining across the country and headlining at famous comedy clubs such as Caroline's in New York, Zanie's in Chicago and the Comedy Store in California. 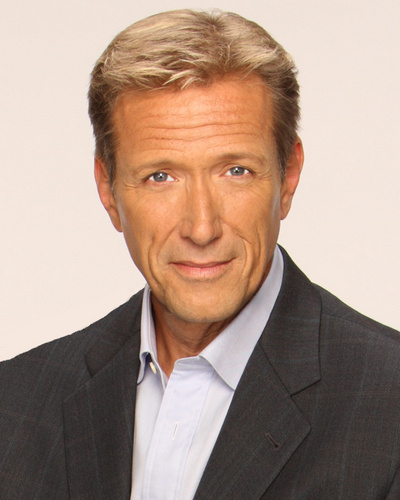 He continues to tour nationally, and when friend and fellow comic Joy Behar ("The View") proposed him for membership in the famous Friars Club, Mr. Willey joined the likes of Milton Berle, Sid Caesar and Billy Crystal by being inducted into the prestigious entertainment fraternity in January 2001. Mr. Willey co-hosted "Live! with Regis and Kelly" alongside his former "All My Children" co-star Kelly Ripa, and the "20th Anniversary Daytime Emmy Awards" with Susan Lucci. He also co-hosted the 1992 Ford Supermodel of the World with Beverly Johnson, and repeated in 1993 with Rachel Hunter. He was co-host of ABC Sports' coverage of the Tournament of Roses Parade in 1994, 1995, and again in 1997, and also hosted Disney's "A Magical Time in a Magical Place" and SOAPNet's coverage of the 2001 and 2003 Daytime Emmy red carpet post-shows. A published satirist and cartoonist, Mr. Willey has been a regular columnist and cartoonist for Soap Opera Update and Soap Opera Weekly. His lithograph, "Soaperman," hangs in Chicago's Underground Comics Hall of Fame, while his collection of drawings, "The Arthurian Legend: A Re-telling of the Christ Myth," garnered popular and critical raves during its gallery tour. Among his other "Pop Culture Achievements," as he calls them, are appearing as himself in comic-book form in Valiant Comics' "The Second Life of Dr. Mirage"; being portrayed by the late Phil Hartman's on "Saturday Night Live"; and being a celebrity panelist on "The Match Game" and "To Tell the Truth." He is also an official Disney artist. Mr. Willey has attended ten "Super Soap Weekends," at both Disney/MGM in Orlando and at Disney's California Adventure, and hosted the "Casting Call" and "Who Want's To Be a Millionaire" events. He has also served as host to the ABC Daytime Salutes Broadway Cares/Equity Fights AIDS annual benefit in New York City. On the philanthropic front, he regularly hosts charity fundraisers benefiting children's charities and Cure Autism Now.